Cross-country skiing isn’t always about a peaceful Nordic schuss through the woods. The world’s best-known cross-country races have more in common with the New York City Marathon than with a winter jog in a park. They can include thousands of participants and even more spectators. Long and arduous, these races bring together the world’s best cross-country skiers and amateurs behind the same starting line. From Sweden and Japan to the US and Canada, these are the cross-country ski races to hit up this winter — whether you’re a racer or just want to watch the pros from afar with hot cocoa in hand. 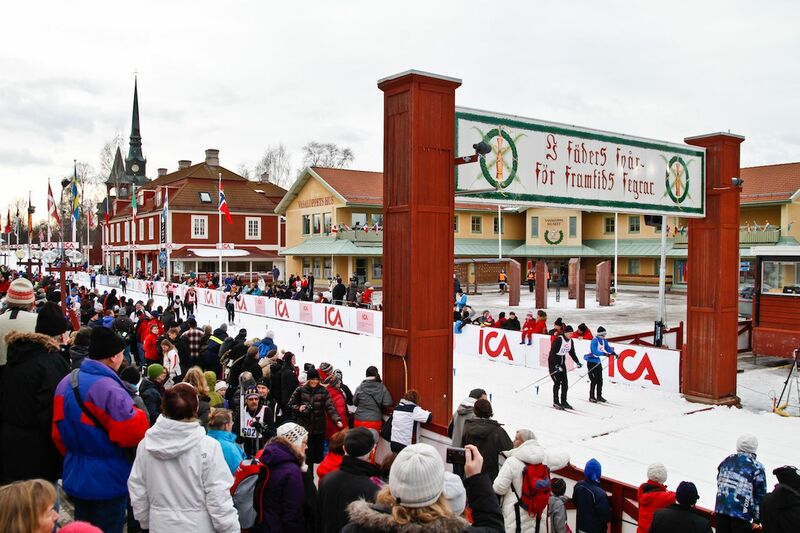 The Vasaloppet may well be the grandparent of today’s most famous cross-country races. It’s possibly the most popular, having reached its maximum capacity of 30,000 participants for the 2019 events within an hour and a half of opening for registration. That said, only about half of those 30,000 will join in the Vasaloppet’s premier event, a 90-kilometer (56-mile) race between the Swedish towns of Sälen and Mora on March 3, 2019. The first Vasaloppet was held in 1922, named after Gustav Eriksson Vasa who lead a rebellion against Danish rule and became Sweden’s first king. Vasaloppet refers to a race in honor of Gustav Vasa who recalled his flight from the Danish on cross-country skis 400 years earlier. Almost 120 skiers joined the first Vasaloppet, including some of Sweden’s top skiers who went on to compete in the Winter Olympics. In addition to the Vasaloppet, a nighttime race of the same grueling 56-mile distance will take place two days earlier — and you can still register for it. Given the dangers of skiing in the dark, you have to register with a partner and ski together. Anyone who crosses the finish line more than 20 seconds away from their partner is disqualified. The nighttime race is just for “fun” since no winner is declared. Like the Vasaloppet, the Birkenbeiner commemorates a historic event. In 1206, the Birkenbeiners rescued a two-year-old heir who later became King Haakon Haakonsson IV and ended Norway’s civil wars. Their dangerous journey with the boy is remembered in cycle, run, and cross-country races — which all require participants to carry a backpack weighing at least 3.5 kilograms (7.7 pounds), presumably how much little Haakon weighed back in the day. 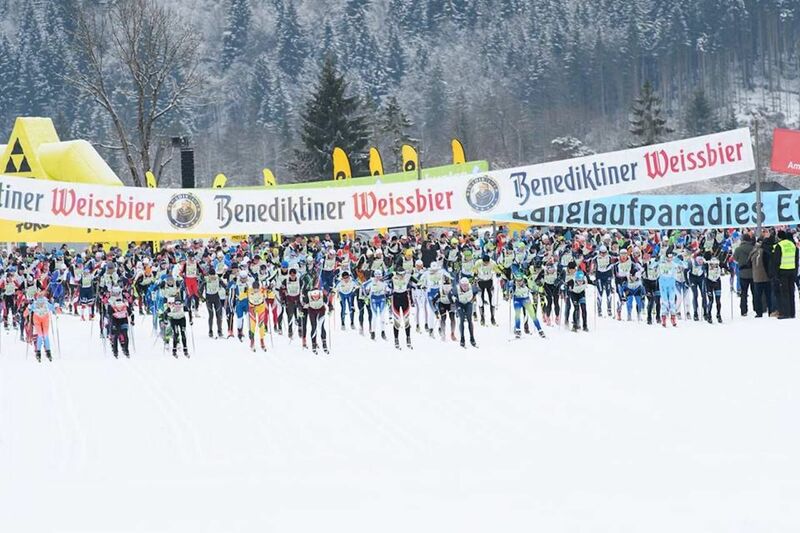 The Birkenbeiner cross-country ski races start on March 9, 2019, with shorter five-, 10-, and 15-kilometer (three-, six-, and nine-mile) races. 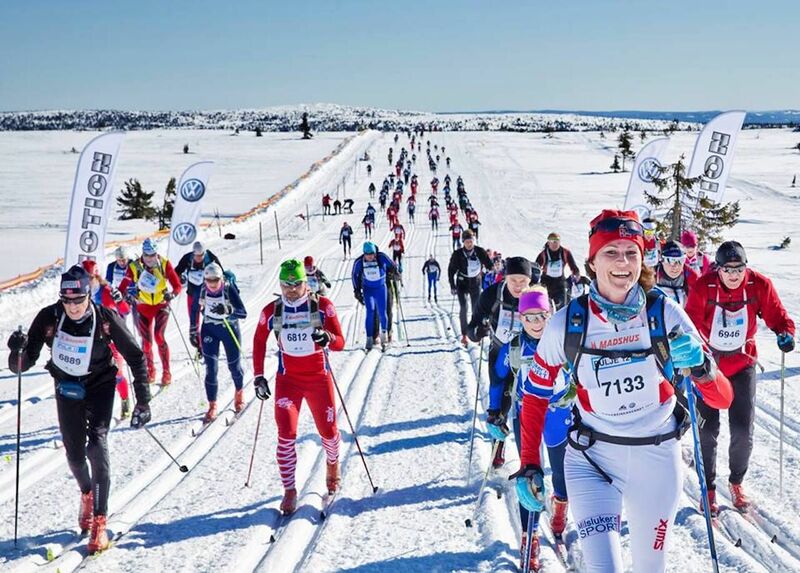 The highlight event is the 54-kilometer (34-mile) race on classic cross-country skis on March 15, starting in Rena and finishing in Lillehammer, site of the 1994 Winter Olympics. In 2019, skiers on skate skis will have their own race on the same course — traversing the same two mountains, evergreen forests, and breathtaking snowy landscape. Although inspired by the Norwegian event, the American Birkenbeiner has built up a huge following of its own. It’s the biggest cross-country ski event on the continent, and last year, it had participants from all over the US and 36 countries. You can still register for the last two waves of the 50-kilometer classic ski race and the 55-kilometer skate ski races on January 13, 2019. The starting waves have closed for registration months ago, and those are reserved for seeded skiers. If you haven’t raced in a Birkie before, you’ll be placed in the last of eight starting waves. The race features some elevation gains, but you aren’t required to carry that backpack in remembrance of baby Haakon. Although just over 10,000 skiers can participate, three times as many people come as spectators. Particularly fun to watch are the handful of skiers in 13th-century Norwegian Birkie costumes who do carry the 3.5-kilogram pack. The Koening Ludwig Lauf is part of the Worldloppet circuit and is definitely the most stunning course on it — taking place this winter from February 2 to 3, 2019. Set in the southern edge of Bavaria just above Austria, the 50-kilometer skate or classic race passes through tall forests and alongside a Benedictine monastery and the elegant Linderhof Castle, all in the mountainous region of the Ammergau Alps. Since its inception in 1968, the race, known locally at the “Luggi,” has grown to over 4,000 participants in the two days of races. You can register for the race here, or just plan on viewing it as a spectator. It doesn’t get more beautiful than the Luggi, and watching just how fast the world’s best skaters go is pretty impressive. 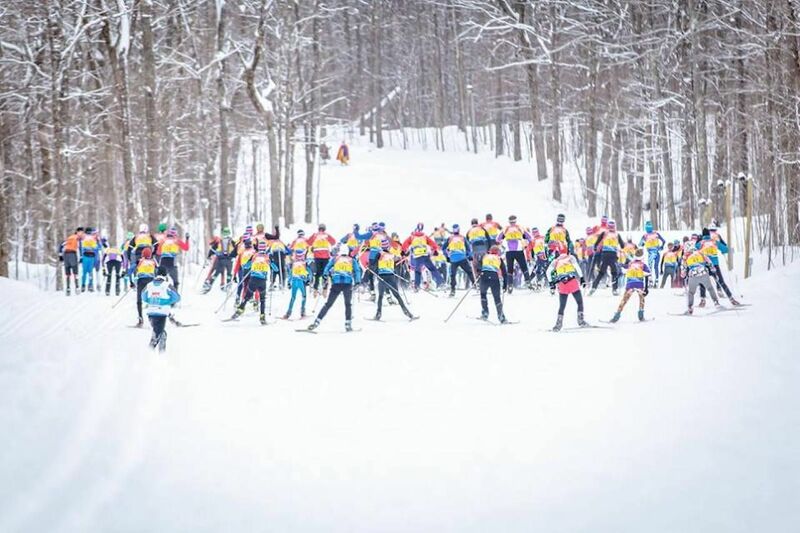 About 2,500 skiers will come together from February 15 to 17, 2019, to take part in one of many races in Gatineau Park, about three hours due east of Montreal. 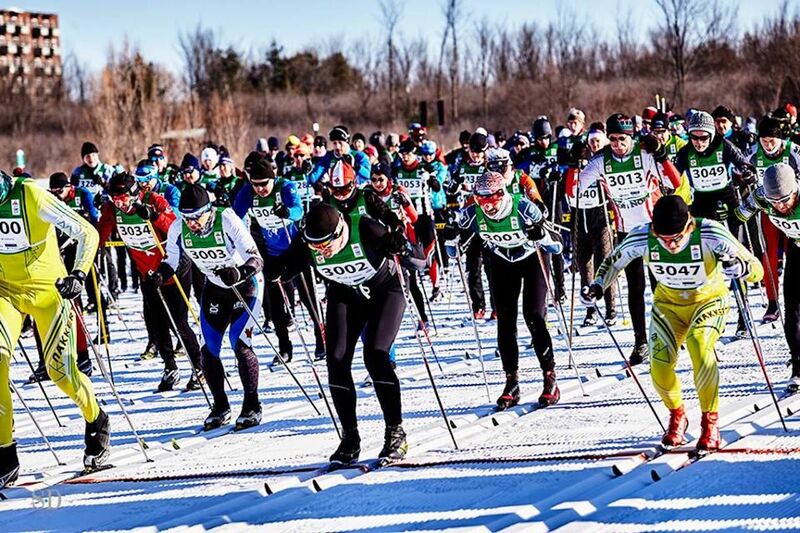 While the Birkenbeiner races have biking and running race options during the warmer times of year, the Gatineau Loppet offers alternatives to cross-country skiing at the same dead-of-winter time. You can brave the region’s famously cold winters on snowshoes or a fat bike, a mountain bike outfitted with extra-wide wheels specifically designed to maneuver through snow. The 2019 races will include six cross-country races, three snowshoe races from two to 10 kilometers (1.2 to 6 miles) in length, and three fat bike races — ranging from 10 to 40 kilometers (six to 25 miles). Register for any of those events here. Though not as competitive to enter as other the long-distance races elsewhere on this list, the Sapporo Ski Marathon has been going strong for almost 40 years and is about as difficult a course as you’ll find — with serious elevation gains and stretches where the trail narrows considerably. The traditional 50-kilometer race is limited to classic cross-country skiers only. You can register for the February 3, 2019, event until January 19 here. You have to be over 19 to compete in the 50-kilometer races, but races of shorter distances have less restrictive age policies. Like the other races on the list, you have to complete it within a set period to receive an official time. In Sapporo, you’ve got seven hours to finish. After that, you can go rest your weary body at one of the many hot springs in the Hokkaido region.